So I suppose apologies are in order, I’ve been neglecting the site for the last wee while, primarily in favour of lying in my bed and watching Sunday Brunch. 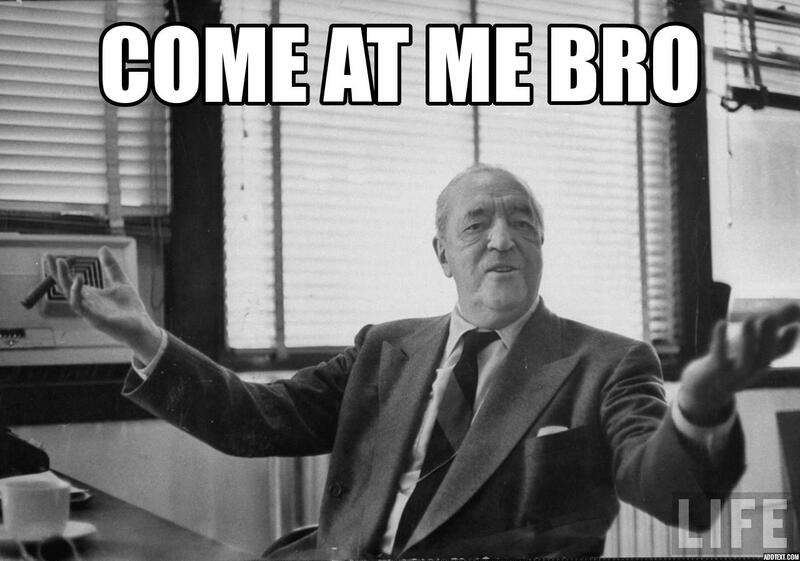 But don’t fret, it’s 9am, I have a fresh mug of coffee and I’m ready to get fired back into this blogging business like Mies Van Der Rohe in a pub fight! Right, enough of the nonsense and back to the serious business! Tomorrow marks the beginning of the 26th Doors Open Day in Glasgow, organised by the great team at the Glasgow Building Preservation Trust. 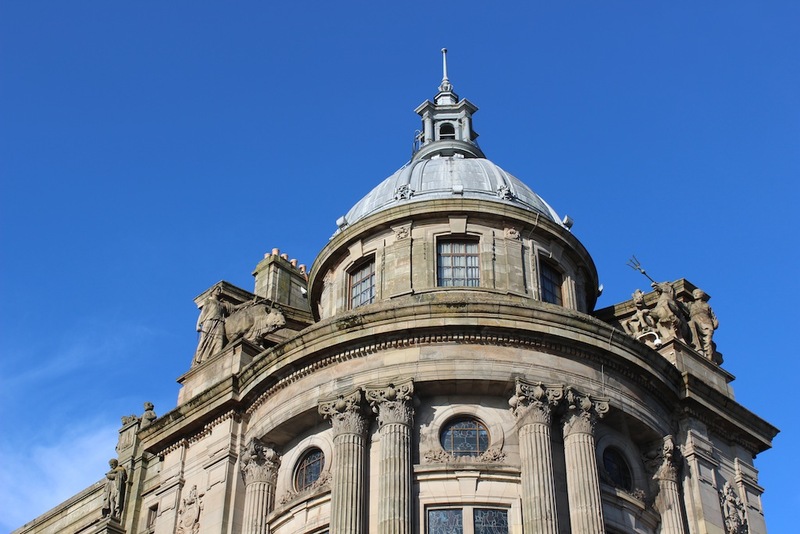 This year features an incredible 186 buildings across the week that will open their doors to the public and you can find the full list here. 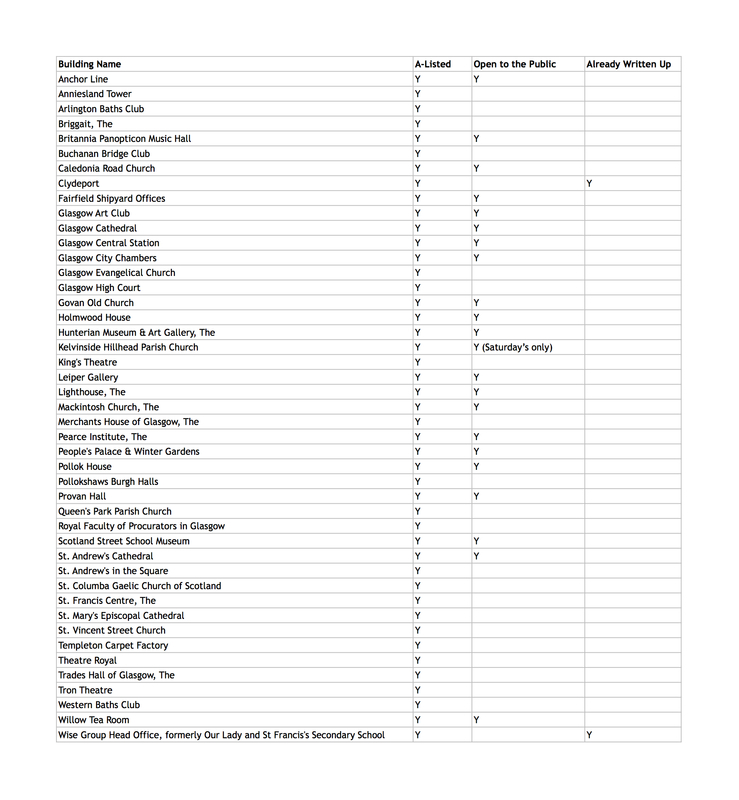 I’ve edited that list down, as you can see below, to highlight the A-listed buildings that make up almost a third of the list and looked at which ones are open to the public specifically for architecturally-inclined visitors the rest of the year round. And to make that list a little easier to digest and also to help you plan out any you might think about visiting I’ve mapped out their locations over a Google map, this is particularly useful for figuring out which ones are close together. The Yellow pins indicate the ones on the list that aren’t regularly open for visitors whilst the red ones are. Furthermore, it should be noted that there are a great selection of walking tours and other events that will take in an even wider selection of Glasgow’s best buildings. In particular I would recommend Niall Murphy’s Glasgow’s Golden Age tour on Sunday which aims to spend two hours in the heart of the city taking in works by some of Glasgow’s most influential architects. With regards to the buildings themselves I don’t want to pick favourites out of the list as all are well worth a visit, so I’ll just share the 5 buildings I’m planning to make it round this coming Saturday. First on the list is John Honeyman’s Glasgow Evangelical Church in Cathedral Square. This asymmetric Italianate church is adorned with sculpture representing the four evangelists as well as St Peter and St Paul, eight stained glass windows and a pipe organ dating from 1887. Up next I’ll be heading down High Street and into the Merchant City to pay a visit to Robert Adam’s only surviving work in Glasgow. 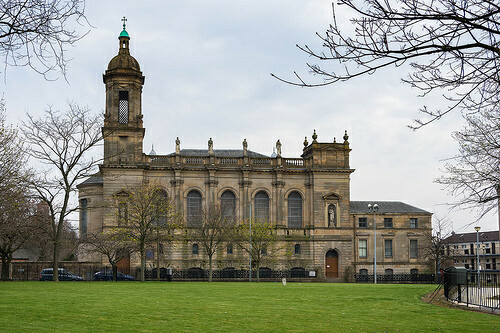 This building was completed in 1794, two years after the death of Adam, meaning that both Adam’s brothers William and John were involved in seeing the project through to completion, whilst iconic Glasgow architects David Hamilton, James Sellars and John Keppie would be involved in altering the building following its completion. Continuing on with another building worked on by different members of the same family I’ll be heading up to George Square to have a look at the interiors in the Merchants House of Glasgow. 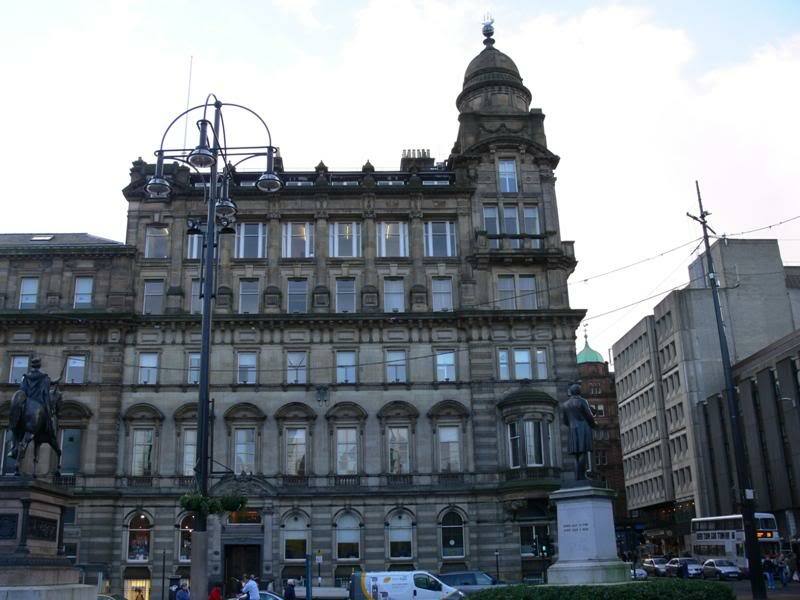 Facing onto George Square this building was originally three stories and formed part of a symmetrical massing that ran along the western edge of George Square, however Burnet’s son came along and added an extra two stories to it that raised it up above the centre podium. Alongside this work JJ Burnet contributed to the interior of the building with the creation of the open timber roofed main hall and the introduction of marble staircases being notable works. 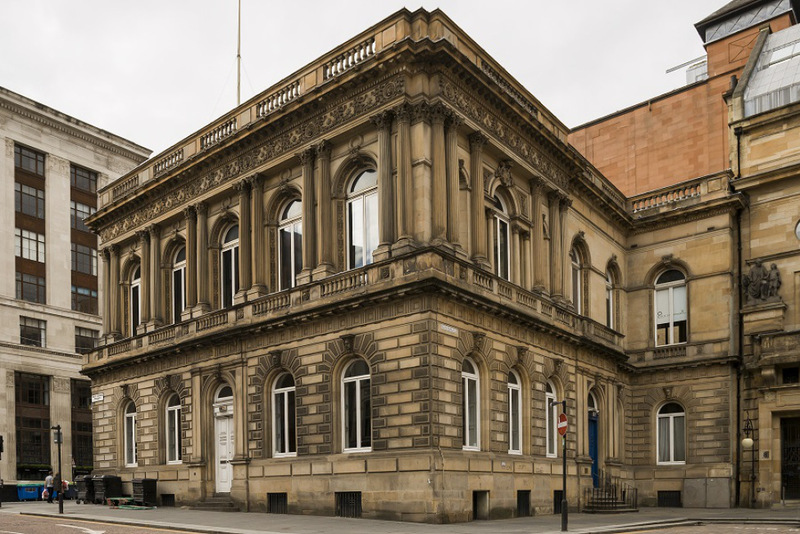 Fourth on the list is another Italianate building with a spectacular interior, this time it’s Charles Wilson’s Royal Faculty of Procurators in Glasgow completed in 1854. The exterior of the building features representation of significant lawyers in the keystones of the ground floor arched windows, which is a theme continued in the busts that adorn the opulent interior. 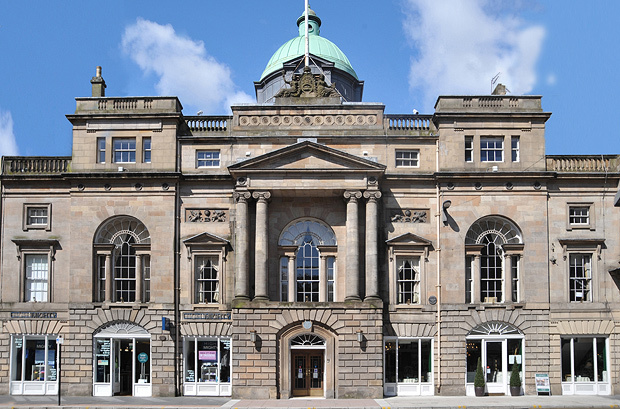 Last but certainly not least on Saturday’s list is the Clyde Navigation Trust Building, another building designed by Sir John James Burnet. Die-hard readers of the blog may recognise that this is a building I have already posted about – which you can read here – however the interior is typically only accessible to the general public on Doors Open Days. Anyway, thats what I’ll be up to on Doors Open Day. Let me know in the comments what buildings you are most looking forward to visiting! Have done four out of those five previously – very enjoyable. Would like to do the fifth (Honeyman church) some time, but occupied in Edinburgh on Saturday and leading a tour of Maryhill Burgh Halls on Sunday. Another year! Welcome back to the blogosphere.